When you choose organically grown local foods, you avoid the pesticides that can cause health issues. Organic produce is also high in antioxidants, vitamins and minerals. By choosing wild-caught and free-range fish and grass-fed beef and lamb, you can avoid foods that are injected with hormones and other chemicals. Eating whole food and avoiding processed foods can reduce your intake of fat, sodium and sugar — which can cause obesity, heart disease, diabetes, cancer and other chronic health conditions. To help you make more sustainable seafood choices, visit http://www.montereybayaquarium.org/cr/seafoodwatch.aspx and download their free Seafood Watch Pocket Guide. Get involved in your local food co-op. Food co-ops are people working together for better food, stronger communities and a healthier world. 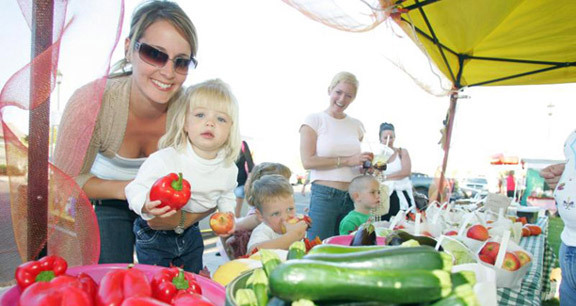 A new study, Healthy Foods Healthy Communities: The Social and Economic Impacts of Food Co-ops (commissioned by the National Cooperative Grocers Association (NCGA) and the ICA Group), quantifies the impact food co-ops have as compared to conventional grocery stores. 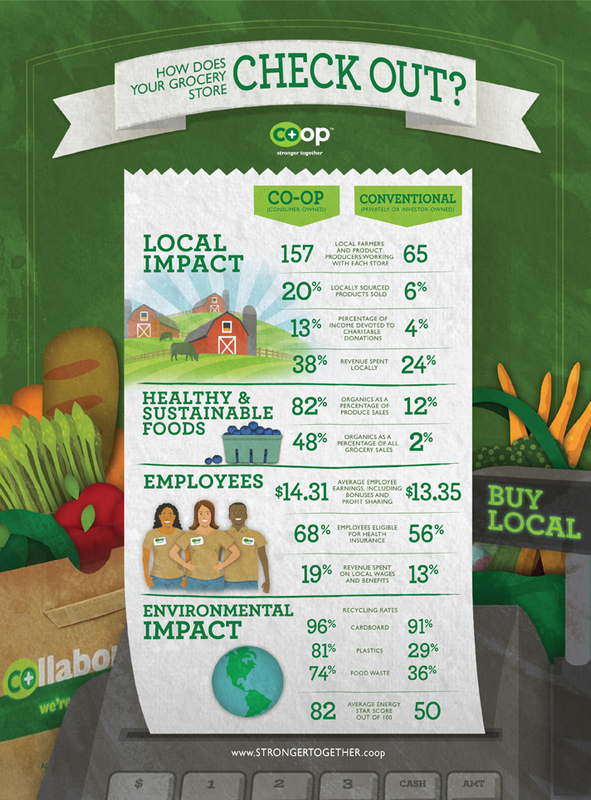 The study’s compelling results demonstrate the many ways that food co-ops do well while doing good. The economic impact that a grocery store has on its local economy is greater than just the sum of its local spending, because a portion of money spent locally re-circulates. For example, food co-ops purchase from local farmers who, in turn, buy supplies from local sources, hire local technicians to repair equipment, and purchase goods and services from local retailers. According to the study, for every $1,000 a shopper spends at their local food co-op, $1,604 in economic activity is generated in their local economy—$239 more than if they had spent that same $1,000 at a conventional grocer. Grocery stores—co-ops and conventional alike—generate a significant amount of waste. What sets retail food co-ops apart is what they do with that waste. According to the study results, co-ops recycle 96 percent of cardboard, 74 percent of food waste and 81 percent of plastics compared to 91 percent, 36 percent and 29 percent, respectively, recycled by conventional grocers. This entry was posted in Business, Collaboration, Corporate Social Responsibility (CSR),, Environment, Green, Stakeholder Engagement, Sustainability, Waste Minimization and tagged Cooperative, Farmers Market, Food cooperative, Grocery store, Local food, Local purchasing, National Cooperative Grocers Association. Bookmark the permalink.